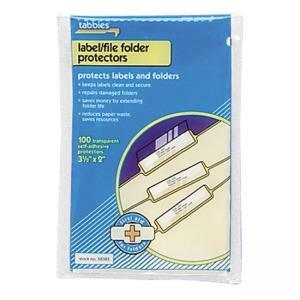 Keep file folders looking new longer. Self-adhesive protectors wrap around file folder labels to keep them clean and secure, and are especially valuable to reinforce heavily used files. Protectors are easy to use. Simply peel, press and fold.